Poolside breakfast at Dance Teacher Web. Photo by DTW. The Dance Teacher Web Conference and Expo is always an exciting way to end the summer. The massive dance event geared toward dance teachers, studio owners and administrators offers hundreds of master classes, business seminars and workshops. Participants are guaranteed to leave feeling rejuvenated and inspired for the dance year to come. And this year’s event was no exception! Lacy Schwimmer’s class at the 2018 Dance Teacher Web Conference and Expo. Photo by Dance Teacher Web. 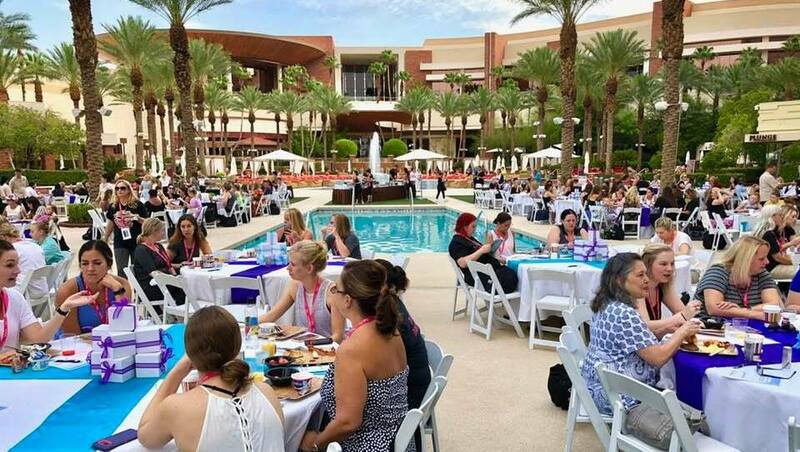 The 2018 Dance Teacher Web Conference and Expo, and the Dance Teacher University Teacher Certification Program, took place in Las Vegas, on July 30-August 2, and celebrated the organization’s 10th anniversary. Highlights included So You Think You Can Dance and Dancing with the Stars’s Lacey Schwimmer’s jazz and Latin classes, Wayne Sleep’s ballet and musical theater, Matthew Powell’s ballet classes, Tislarm Bouie’s hip hop, Simone DePaolo’s Afro jazz and children’s work, and Misty Lown’s business seminars. “We are so fortunate to have some of the most pertinent and successful teachers sharing their talent with our attendees,” reflects Angela D’Valda Sirico, co-founder and director of Dance Teacher Web. She adds, “Our goal and the mission of Dance Teacher Web is to educate and motivate to the highest level.” And indeed, from the feedback received after this year’s event, Dance Teacher Web is doing its job. 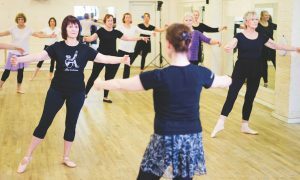 “We are grateful to hear from our attendees that we made a difference to not only the level of their knowledge but also helped them to find the best ways to succeed both as dance teachers and studio owners,” D’Valda Sirico says. Angela D’Valda Sirico, Steve Sirico wih David Winters of the West Side Story. Photo by Dance Teacher Web. 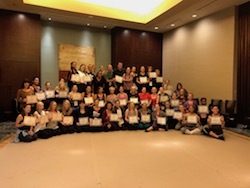 While dance teachers and studio owners give to their students, studio parents and community year-round, it is Dance Teacher Web’s hope that this yearly conference can give back to them, reassure them of their tremendous work efforts and motivate their lessons for the new year to come. “Burnout, both creatively and in business, are very prevalent in our industry, so it is critical to embrace continuing education no matter how long you have been teaching or running a business,” D’Valda Sirico says. In addition to the multitude of classes and seminars, Dance Teacher Web also partners with the University of Nevada Las Vegas for a comprehensive Dance Teacher University Certification Program for dancer teachers, K-12 teachers and dance studios with multiple disciplines. The 2018 Conference saw over 70 graduates of Level I and Level II of this program. Dance Teacher University graduates. Photo by Dance Teacher Web. It has been announced that the 2019 Conference will find a new home, Las Vegas’ Planet Hollywood, allowing Dance Teacher Web to expand its curriculum and space. 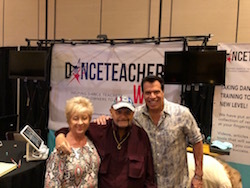 The 2019 Dance Teacher Web Conference and Expo will be held July 29-August 1, at Planet Hollywood in Las Vegas. The event often sells out, so be sure to register sooner rather than later. For more information, visit www.danceteachersummerexpo.com/register.